You can’t walk to your own funeral, so choose how you will make this final journey. There is an enormous choice, from rich luxury to green economy, austere to jolly, so that your choice can reflect your personality or the message you want to convey to those left. If you are using a Funeral Director they may suggest you use a traditional black hearse, though there are many varieties of funeral car now available, such as a white or pink hearse or even a Volkswagon Camper. 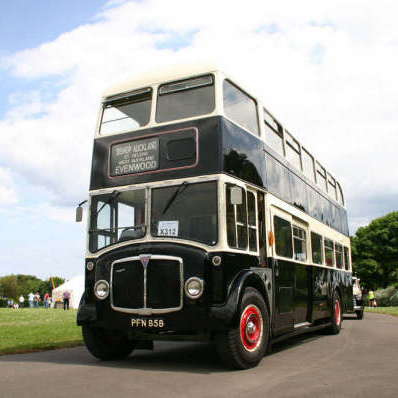 If you have always been keen on motorcycles or tractors, why not pick one of these for your final journey, it will make the funeral much more personal and will hopefully bring a welcome touch of humour to lighten the sorrow. Our cover image comes from Motorcycle Funerals. 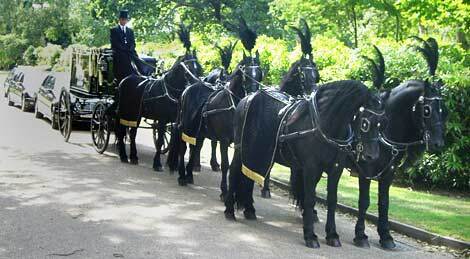 For horse-lovers there are many firms offering horse-drawn funeral carriages allowing you to journey in Victorian splendour, or you could simply be pulled in a cart towed by your favourite horse. You can even hire a vintage bus to transport you and your party to the funeral, or for example from the church to the refreshment venue, ensuring that there are no stragglers. 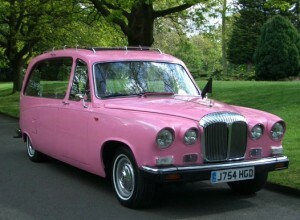 Check our Transport Guide for funeral car and carriage services available near you.